Techknow assisted Adtechs Corp. in preparing the preliminary design and construction cost estimates for the Radioactive Waste Processing System and Building at the proposed two-unit Lungmen plant. Techknow's radwaste engineers prepared system descriptions, selected equipment, and obtained pricing for the equipment. The scope also involved the preparation of quantity estimates for civil, structural, architectural and electrical materials, so that a lump sum price could be bid to the owner. 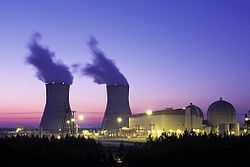 Techknow served as a primary consultant to Georgia Power Company during a management prudence audit of the Vogtle Nuclear Power Plant. Strategies for the defense of past management decisions, project control systems, project cost, and schedule performance were prepared by Techknow. The firm's consultants assisted in the management of the defense effort throughout the preparation and hearing stages of the audit. This support included identifying the consequences of Nuclear Regulatory Commission regulatory changes on the construction, licensing, and startup of Vogtle Plant. Arguments and evidence, showing a substantial regulatory impact on the engineering and documentation effort, labor and material costs, and startup testing schedule for the plant, were prepared by senior Techknow consultants. Techknow handled the technical management of this $250 million soils remediation project at Midland Nuclear Project for Consumer Power Company. Most of the project involved underpinning two large buildings, which included the construction of tunnels, freeze wall, and underpinning with very small tolerances. 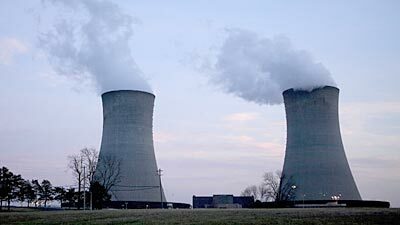 Techknow was retained by Commonwealth Edison Co. to conduct an investigation of a louver failure in Byron Nuclear Station's cooling tower. The continued performance of the natural draft cooling tower is critical to station performance, as it is the main component of the station's cooling system. Techknow applied expertise in cooling towers, as well as root cause analysis, to investigate the failure and develop recommendations to prevent future failures. Recommendations were provided to revise winter operating procedures and institute practices to minimize ice buildup in the winter season. 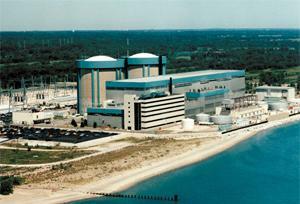 Commonwealth Edison Co. retained Techknow to provide structural material recommendations for buildings at several nuclear power stations. For ease and speed of construction, Techknow proposed the use of a new prefabricated glass fiber concrete wall. Techknow also conducted an investigation, including analysis and testing of thermal behavior and performance under weather variations, of this innovative material. A quality assurance review of vendor testing and calculations was also performed. Techknow designed this $10 million service building addition and renovation at ComEd's Quad Cities Nuclear Power Station as part of a design/build team, preparing all architectural, structural, HVAC, plumbing, fire protection, and electrical and communication designs for the project. Included in the project were new HVAC systems, additional electrical power systems, including four 1600-amp switchboards, communication system, and the remodeling of locker rooms, shop area, and office space. This new addition was a four story structural steel building connected to the existing service building. Techknow designed the $4 million service building renovation at ComEd’s Zion Nuclear Power Station as part of a design/build team, preparing all architectural, structural, HVAC, plumbing, fire protection, and electrical designs for the project. Included in this project were new HVAC systems, a weld shop ventilation system, additional electrical power systems, communication system, and the remodeling of locker rooms, shop area, and office space. The Laundry, Tool, and Dry Waste Storage Building, a two-story building located west of the Unit 1 Turbine Building at the Quad Cities Station, was constructed under a design/build contract. The building contained 21,730 square feet of sorting and storage space, a hot machine shop, a decontamination facility, a respirator facility, dry active waste storage, a compactor/sorting area, and clean and dirty storage. 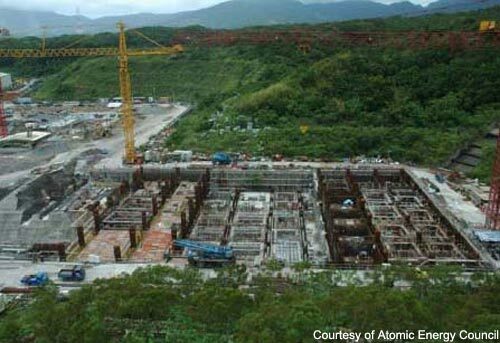 Provisions for the handling and storage of radioactive waste containers included bridge and monorail cranes, a HEPA filter in the ventilation system, connection to the gaseous monitoring system, floor drain system connection to radwaste treatment, and special epoxy coatings on walls and floors. Techknow performed all structural, HVAC, civil and electrical engineering, and architecture design for this project. Techknow performed architectural interior design and provided construction details to remodel the Emergency Operations Facilities (EOF) in Morrison, Zion, and Mazon, Illinois. Executive conference rooms and audiovisual areas were constructed in existing buildings, to allow for ease of operation for executives during emergencies and emergency training exercises. Special requirements for this project included sound proofing, air conditioning for the audiovisual area, and specialized lighting consideration. Techknow was responsible for all architectural, structural, HVAC, and electrical designs for the $2 million renovation of the Training Facility at the Zion Nuclear Power Station for ComEd, including the installation of a control room simulator. The HVAC at the facility required extensive modification and a new HVAC roof top unit, duct system, and halon fire protection system were installed for the new simulator. New lighting was also installed in the entire building, as well as new cabling for the communication and security systems. Techknow designed four standardized training facilities worth over $22 million as part of a design/build team for ComEd's Byron, Braidwood, Quad Cities, and Dresden nuclear power stations. Techknow prepared all architectural, structural, HVAC, plumbing, fire alarm and suppression, civil, electrical, and lighting designs. The firm also designed ties-ins from the main plant to the new buildings for the sewage, potable water, fire protection, computer, and communications systems at all four sites. Each building had extensive electrical systems, including redundant power and a UPS for the control room simulator and its computers. Some components of this design were roof top units, a VAV system with in-duct heaters, indirect and direct florescent lighting, a sprinkler fire protection system, and a Halon system. Techknow supported Commonwealth Edison Co. in the development and execution of offsite emergency response training programs. Training modules prepared for the client included Radiation Monitoring and Decontamination, Traffic and Access Control, and Executive Training for county and municipal officials. Other modules included Registration Center Operations and specialized training for bus drivers, police dispatchers, and the news media. Techknow emergency planning specialists also conducted training and updated county emergency plans. Assistance was provided for control and evaluation of county activities during the 1990 Quad Cities Station Emergency Exercise, which was evaluated by the Federal Emergency Management Agency and the Nuclear Regulatory Commission. 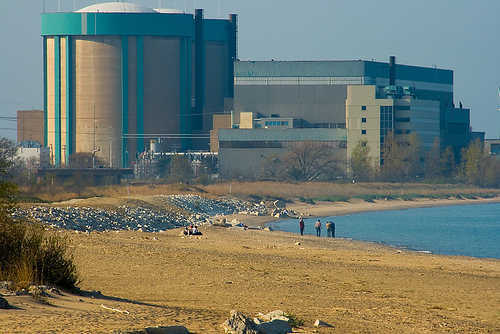 Commonwealth Edison Company commissioned Techknow to prepare a report on Nuclear Plant Life Extension for their older BWR and PWR nuclear plants. This report required the development of a list of activities for the client to perform at each nuclear station to extend the life of the power plants. Techknow prepared activity categories, assigned priorities for client actions, and ultimately recommended actions to the company's Production Services Department. 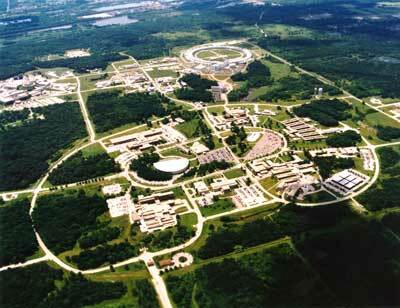 Techknow and Argonne National Laboratory (ANL) worked on a cooperative research and development agreement (CRADA). The mission of the CRADA is to develop a chemical processing system for treating high-level radioactive contaminated waste material such as that stored in the underground tanks on the Department of Energy's Hanford Reservation. The development effort combined Techknow's process technology and plant design capabilities with ANL's extensive experience and expertise in planning and performing demonstrations involving highly radioactive hazardous materials. Techknow cooperated with Argonne National Laboratory (ANL) on a proposal for the Electrical Power Research Institute (EPRI) for the vitrification of low-level radioactive waste. Vitrification, which is the process of making glass from waste, is ideal for dealing with the the wet wastes which would leach out of other waste media. This team combined Techknow 's project management experience and background in utility radwaste and the commercial glass industry with ANL's extensive experience with glass as a radioactive waste form. Techknow prepared a selected bibliography on radwaste solidification. This bibliography was very thorough, reflecting current industry trends, as well as landmark developments. Frequently, the solvents used in common cleaning techniques are hazardous and, when radioactive, become a mixed waste, the disposal of which is problematic at best. Techknow's white paper, "Two Non-CFC Decontamination Systems: 1. Carbon Dioxide Pellets, 2. Superheated Water," reflected the growing trend among nuclear utilities for nondestructive cleaning methods which did not produce additional waste. 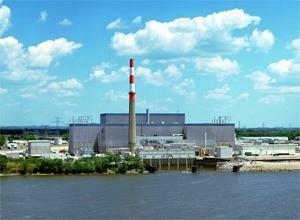 Techknow's white paper, "Recycling of Radioactive Waste Oil: Is It Practical? 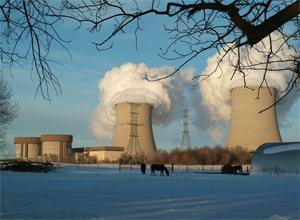 ", is a comparison of several methods nuclear utilities use to process radioactive waste oil. The purpose of this paper was to assess the possibility and potential usefulness of recycling radioactive waste oil instead of discarding it as low-level waste. Techknow has prepared several white papers and technical bulletins for the Electric Power and Research Institute (EPRI) in the field of low-level radioactive waste. The first, "Recycling of Ion-Exchange Resins Using Off-Site Regeneration," dealt with the difficulties associated with the disposal of spent ion-exchange resins. This paper was also presented as a keynote speech at an EPRI sponsored meeting. Techknow provided support to robot manufacturer PCI Energy Services by performing structural analysis for robotic equipment. One project involved the development of a robot to cut and remove the heat shield in the reactor at Connecticut Yankee Nuclear Power Plant. Techknow analyzed the structural support required for the robotic equipment. Techknow performed a structural analysis of PCI's CRDM Robot. The CRDM Robot is a new machine designed to remove control drives from beneath nuclear power reactors. The firm's engineers analyzed the robot taking into account the range in forces resulting from the robotic arm being in different positions. From this analysis, Techknow designed customized components whose complex structural elements matched the client's requirements. Finally, the robot was put through practical tests. Techknow designed the structure for HACES, a robot which is a hanging automated cutting machine being used in a TMI Unit 2. The robot hangs from the top of the reactor and includes a remote controlled plasma torch and a television camera which operates under water. HACES' purpose is to cut and remove debris from the bottom of the reactor. Techknow designed structures to support plasma underwater robotic cutting equipment for PCI. The robotic equipment was used to cut up the reactor internals for safe removal and disposal. The structural support was designed to keep critical deflections to a minimum for proper equipment operation. Techknow prepared 70 drawings of the control boards at the Dresden and Quad Cities Stations using photo drafting. In photo drafting, a very clear and distinct photograph is taken of each control board panel. Enlargements are printed to the desired scale from the original negatives and assembled in a photo mosaic which is then reproduced on mylar drawing film to form the original drawing. Various manual drafting steps are performed to produce the final drawing of the control board. The principal use of the new drawings was to show new design and control future modifications to the control boards. Secondary uses were for training, human factors evaluation, and comparison of the simulator to the control boards. In order to take accurate pictures quickly, with the least interruptions to the control room operations, Techknow designed and fabricated a unique light aluminum frame which can be quickly assembled and disassembled to mount the camera and the lighting. This unique frame allowed the camera to be moved (horizontally and vertically), tilted, and leveled to take many pictures from the same frame position. After taking the pictures at one location, the whole frame can be moved to another location. Techknow collaborated with ComEd's transportation department and architectural group to review the maintenance facilities and get ideas for improvements, the most beneficial of which were incorporated into the facility design. This two-story, 12,500 sq.ft. facility was built to house the Station and Corporate Chemistry Labs and offices. CECo decided to use a design/build concept for bidding the facility and hired Techknow to provide the specifications and other drawings to go for a firm lump sum design/build bid. Techknow's scope of work included the general arrangements, preliminary foundation investigation, electrical, HVAC, fire protection, plumbing, telecommunications, grounding, potable water, and security lighting design. This facility was engineered to meet the piping, electrical, and HVAC needs of a hot lab facility. 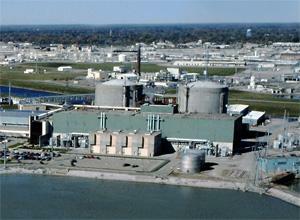 This project involved expanding and completely remodeling the hot and cold labs at Quad Cities Nuclear Power Station. To ensure that the labs would be operational 24 hours a day without interruption, Techknow designed this project in three phases. The company's scope included arrangements, architecture, specialized HVAC and electrical systems, plumbing, pneumatic systems, demineralized water systems, and a radioactive waste system, as well as asbestos abatement. Techknow performed the complete detail design of the new chemical feed system, including piping and equipment, for injecting biocide and silt dispersant into the circulating and service water systems at ComEd's La Salle County Nuclear Power Plant. The system included one 10,000 gallon hypochlorite and two 6,200 gallon sodium bromide and polyacrylate storage tanks, two pump skids and calibration stations, and extensive piping to the injection points. The tanks, pump skids and calibration stations were housed in a new building near the existing screen house. Techknow designed the foundations and electrical, heating, ventilating, and fire alarm systems for the pre-engineered building. Techknow prepared specifications and drawings for the new chemical feed building and chemical feed system equipment, a scope construction cost estimate, and a complete bill of materials for the project. This landfill gas collection and treatment system consisted of: two perforated pipe horizontal gas collection headers from the horizontal collection system below the landfill cap; above ground collection pipes from seven gas extraction wells; and two gas treatment skids, each with a condensate trap, gas analyzer, gas scrubber, particulate filter, variable speed blower, detonation arrester, and a refractory lined flare. Liquid from the gas scrubber and condensate trap flowed through pipes to a 1000 gallon underground storage tank, and the system was controlled by a programmable logic controller (PLC) which also monitored well head pressure and BTU and VOC content of the gas. The two skids and PLC were enclosed in a pre-engineered, air-conditioned building. Techknow prepared and conducted an engineering analysis for a double-walled 60,000 gallon cryogenic storage tank to store liquid nitrogen at -370 degrees C for the Rocky Flats Arsenal, a U.S. Department of Energy weapons production facility. This analysis ensured adherence to ASME Codes and tank integrity for all loads, including seismic. The project required expertise in mechanical engineering codes and standards, namely the ASME Boiler and Pressure Vessel Code, the AISC Specification, and the ASME Code for Pressure Piping which served as the safety standard base for the tank assembly of inner and outer vessels and the piping system. For analysis, Techknow utilized the NISA finite element computer program and Autopipe, a pipe analysis program. The Chicago Incinerator is one of the few facilities licensed by the State of Illinois to incinerate hazardous chemical wastes. Techknow performed architecture, electrical engineering, structural engineering, and plumbing design for the new 900 sq.ft. receiving laboratory in an existing building. In the receiving laboratory, samples of chemicals received at the incinerator were chemically analyzed and test burns performed. The construction work included demolition of existing interior work, installation of new counters and ceramic tile floor, painting, ceiling and lighting, new electrical service, new HVAC equipment and ductwork, piping for water and gas supply, drains and vents, and laboratory equipment. Techknow also coordinated the City of Chicago building permit application. Techknow has designed retention ponds and storage reservoirs for this wastewater reuse project for the Hammond Sanitary District. This project required the reuse of 38 million gallons per day of treated wastewater on public lands and farmlands in Lake County, Indiana. Dr. Raj Rajaram at Techknow selected the location of pipelines to convey the treated water with nutrients to the public lands and farmlands and designed the pipeline systems to convey the water to the storage reservoirs and the lands to be irrigated. This project was initially completed for the Hammond Sanitary District, and the Basis of Design report is being completed under the U.S. Environmental Protection Agency's Great Lakes Remediation Initiative. Other aspects of the project were the increased productivity from farmlands, an ethanol plant to use the corn from the farmlands, a confined animal feedlot operation (CAFO) to use the residues from the ethanol plant, and a biodigester to produce methane gas from the CAFO wastes. Techknow designed utilities (communication, power, common electric ductbank, and water) for the relocation of Tank Farm Road at O’Hare Airport, after studying the interference of new and existing utilities from as-built drawings and potholing. 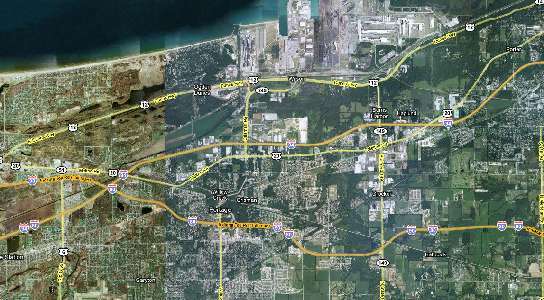 The design was planned to maintain continuous Airport operation, and included alignment and profiling of all utilities. As part of the roadway relocation, a new prefabricated Guard Post, new security fencing, and new security gates with pavement detection were constructed, along with a Construction Vehicle Inspection Area (CVIA) with 2 additional prefabricated guard booths and a new security HUB building for security inspection. Work involved preparation of drawings, specifications, and cost estimation. This project is currently under construction. Techknow is currently responsible for a major utility trunk corridor relocation along a 2.5 mile segment of the relocated Tank Farm Road (TFR) at Chicago’s O’Hare International Airport. 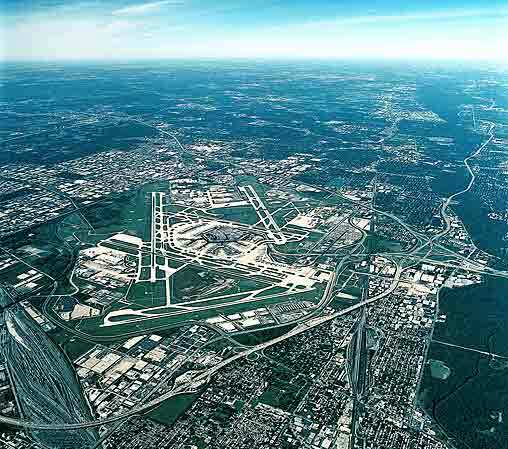 The project involves the relocation of main utility trunk lines servicing the airfield, including high-voltage ComEd ductbank, AT&T ductbank, and Common Electric Ductbank (CED), as well as Water Main design and provisions for future jet fuel and natural gas mains. The CED contains FAA, electrical distribution, and communication lines. This project also includes the protection of major existing utility infrastructure along the route and coordination with major runway and taxiway design and construction. The presence and routing of existing utilities was determined through the study of existing as-built drawings and potholing.